Although the port city of Guayaquil has a long history as the business center of Ecuador, fires destroyed many of its oldest buildings. Around the turn of the century, the city experienced an economic boom as well as an influx of European immigration. The combination had a definite impact on the style of architecture, and neoclassical buildings became the hallmark of the city and provincial governments. 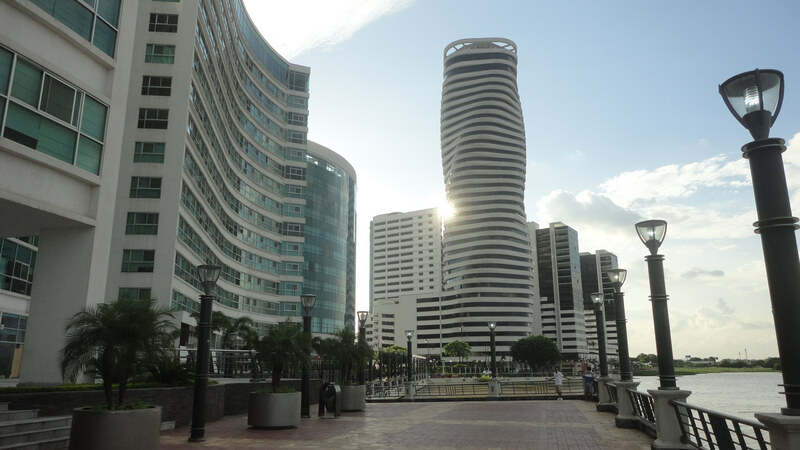 Guayaquil has continued to build in popular styles that reflect the decade of their design. The University of the Arts has its new home in a building that was originally constructed between 1923 and 1924 by German architect Augusto Ridder, who followed the plans of the Italian architect Mario Gherardi. Italian master Emilio Soro Lenti designed the ornate cornices and moldings. Its neoclassical style has much in common with the neighboring Palacio Municipal. In fact, both buildings house arched passageways protected by glass and iron ceilings. Construction of the Municipal Palace began in 1921, and the finished building was inaugurated in 1929. 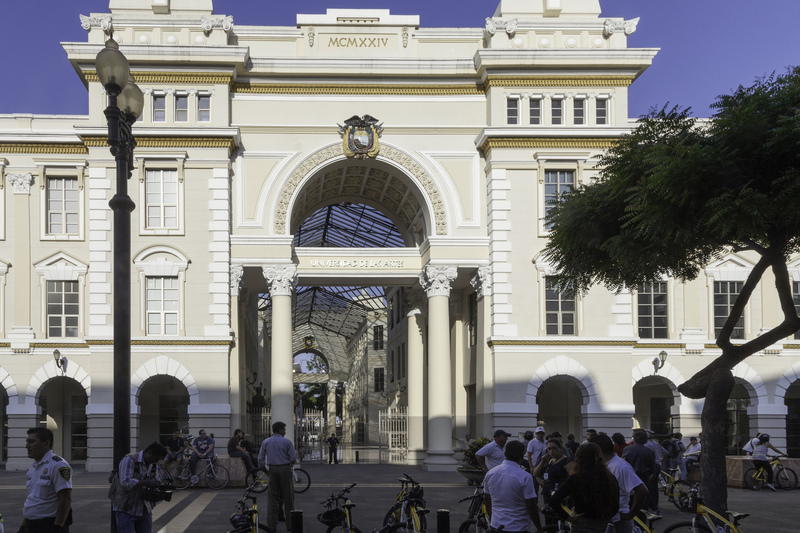 Architect Francisco Macaferri mixed two different styles—neoclassical and Baroque—when designing this building. El Pasaje Arosemena deserves particular attention for the beautiful combination of iron and glass in the arched passageway. 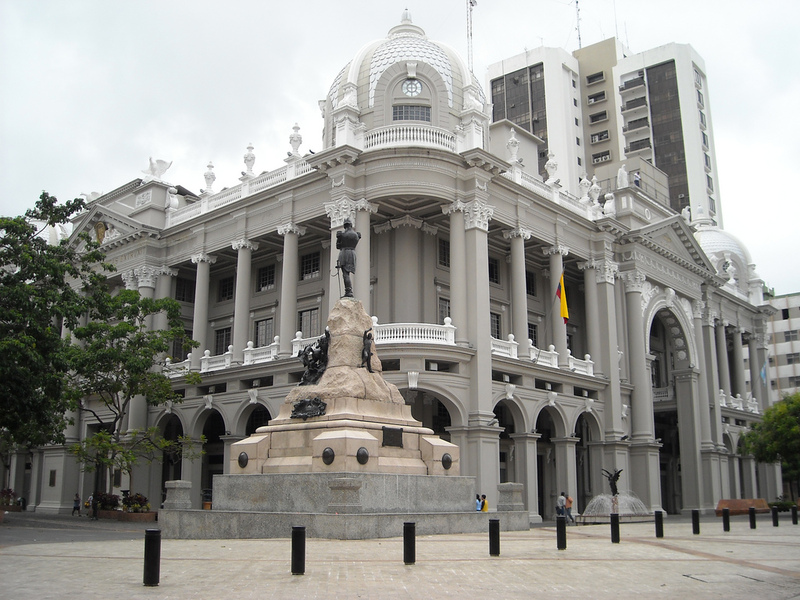 The building is home to the city government of Guayaquil. 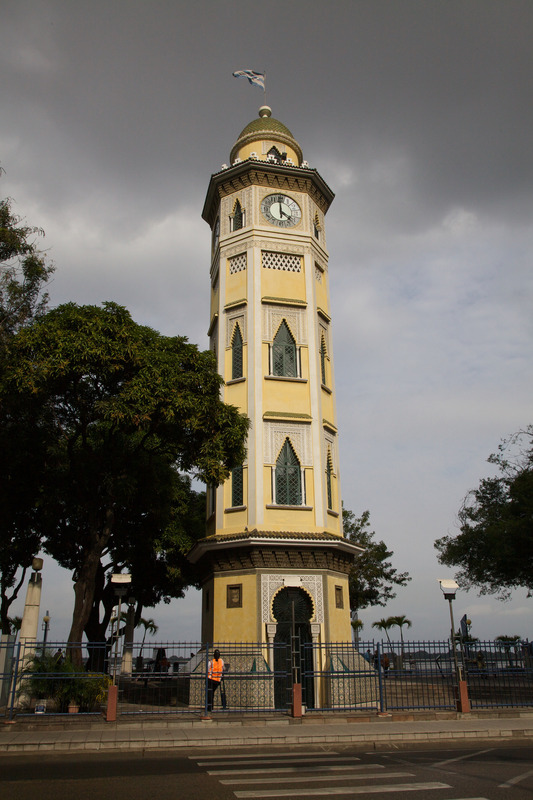 The Torre Morisca, also known as the Torre de Reloj or the Clock Tower, has a long history in Guayaquil. The clock, originally purchased from England in 1842, was placed in a tower of the Colonial Palace. That building, however, burnt in the early 20th century, and the city government moved the clock around until 1930 when it commissioned a tower in the Moorish style to display the treasure. It has remained in the same location since its inauguration in 1931. As a modern city and the main center of business for Ecuador, Guayaquil has many high-rises of unique designs. The newest is the Point, which opened for business in 2013. This visually captivating structure is the work of Ecuadorian architect Christian Wiese, and it is the tallest building in the country, with the final floor standing at 450 feet (137.2 meters). The house of Julián Coronel, built at the turn of the century between 1899 and 1900, once sat in downtown Guayaquil. Today, it’s on the grounds of the Parque Historico, where several noteworthy historic buildings have been preserved. In a design typical of the turn of the century, commercial businesses occupied the first floor, and the second floor was the opulent residence of a single family. 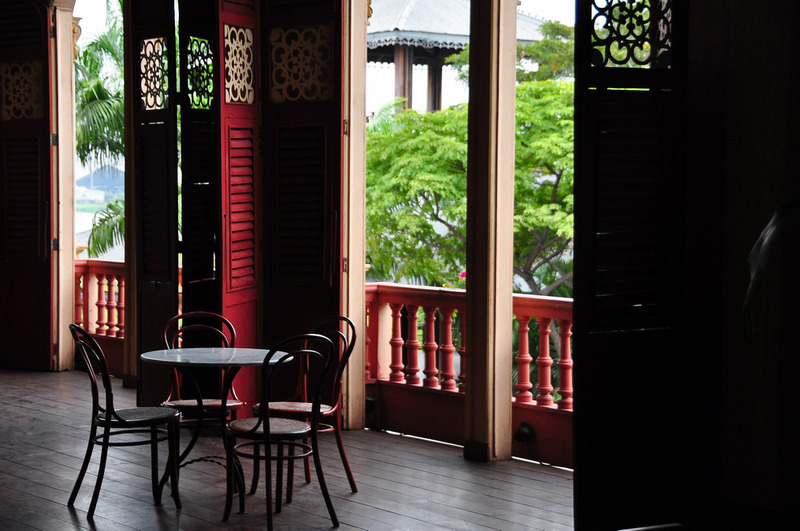 On the upper floor, several wide doorways with decorative screens allowed the entry of cool breezes, an important architectural element in a hot, humid climate before the time of air conditioning. 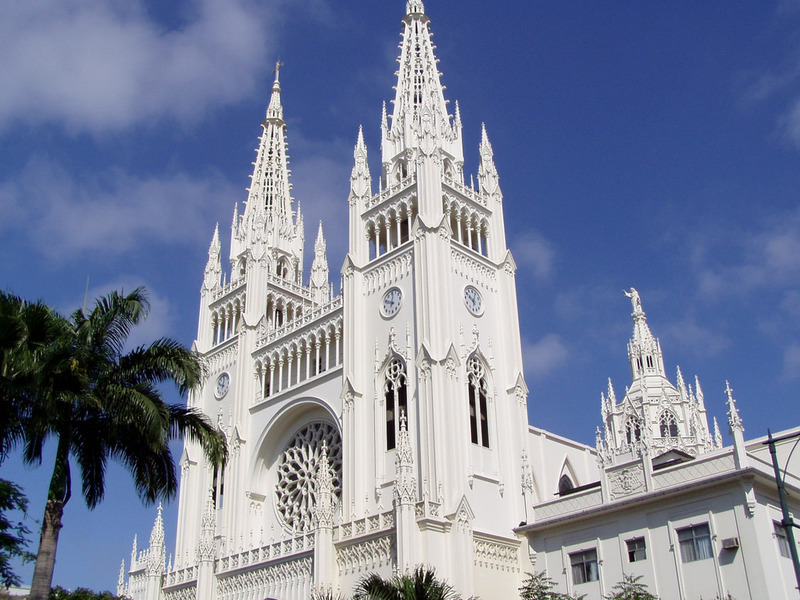 The spires topping the Catedral Metropolitana, also known as the Catedral de San Pedro, are visible from a great distance in the city of Guayaquil. In 1547, the church was originally built of wood, a common choice of the era; however, that edifice burned down in 1692. A colonial-style church replaced it, in the same location, during the early years of the new Republic in the mid-19th century. In the early 1900s, however, the structure was deemed too simple, and the cathedral was reconstructed in the neoclassical style. This church is best admired on a day with a bright blue sky.